If you like your rice yellow then this is for you. This recipe is very easy that you can even close your eyes while making it. 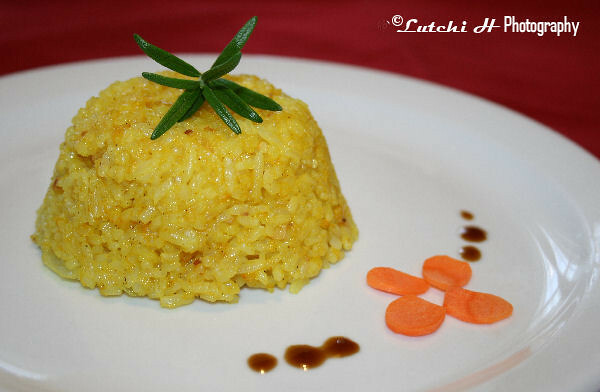 It’s another way to make use of your left-over rice. I am not going to make this entry any longer so here is the recipe. 1. In a medium pan with olive oil, Sautee garlic until slightly brown. 2. Add chopped onion and sauté until tender. 3. Add rice, stir until combined. If it’s too dry, you can add a little water or some broth. 5. Add pepper and salt to taste. Enjoy! 0 Comments On "Yello Rice"